Chinese companies are buying up U.S. real estate in San Francisco, but real estate is not the only investment surging in 2015. Chinese companies are looking at securing patents. 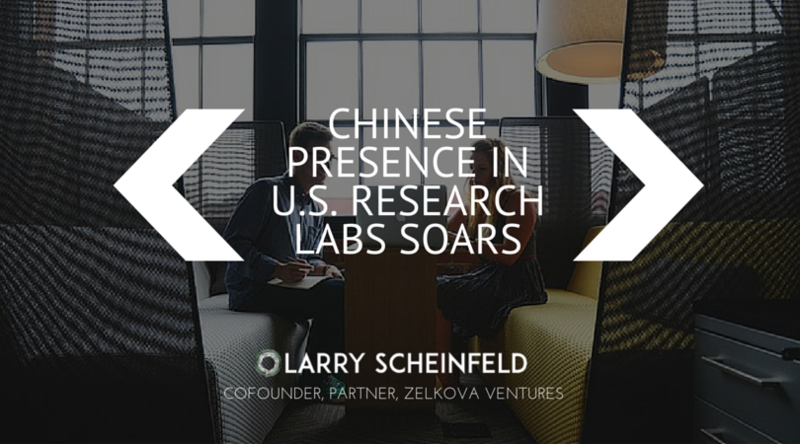 By investing in U.S. research labs, China is targeting inventive U.S. companies — moving from production to innovation. The presence of this foreign powerhouse in Silicon Valley may be indicative of their desire to pour money into software and tech — which would put them in prime position to own the intellectual property of up-and-coming technologies. Non-existent 10 years ago, Chinese firms now possess multiple patents from U.S. companies, and their growth shows no signs of slowing. Patented inventions by Chinese firms that involved at least one U.S. researcher almost doubled, reaching 910 in 2014. The recent Chinese National Patent Development Strategy has laid out the country’s plans through 2020, with seven industries targeted for investments: biotech, clean energy, and high-end semiconductors among some. Also included is an increase in R&D funds as proportional to economic output from 1.75 percent in 2010 to 2.2 per cent this year. Humanwell Healthcare Group, a Chinese pharmaceutical company that has poured $50 million into an east coast U.S. research facility, has won approval on four patents in the United States and EU. According to the head of international investments, Vincent Xiang, the advantage of having U.S. labs is access to highly qualified personnel: engineers, doctors – over 800,00 of them. China’s investment takeover is not without its obstacles. With security concerns over China’s heightened presence in the United States, some big companies are thwarted by U.S. restrictions, but according to a Maryland government spokesperson Bradley Gillenwater, China has no stake or interest in military defense. This accelerated expansion has created strain on American and Chinese relations, which a meeting between top U.S. and Chinese officials this week hopes to assuage. Security talks between the two nations will include discussions on negotiating a bilateral investment treaty — that would aid in easing these tensions.